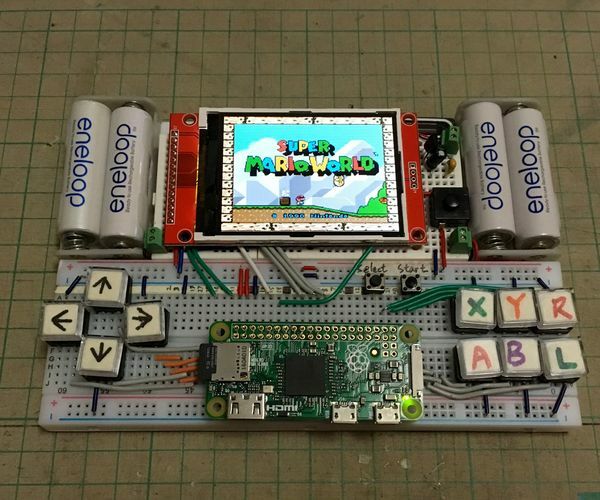 Zero Solder Rasperry Pi Gaming #piday #raspberrypi @Raspberry_Pi « Adafruit Industries – Makers, hackers, artists, designers and engineers! This Instructables show how to build a Breadboard RetroPie, no soldering, no 3D printer, no Laser cutter required. This project aims to make it simple, all things built on the breadboard, the first tools you should know while studying electronics. The most beauty thing using breadboard is most things can be reused. When you want to build the next project you can unplug and reuse the components and also reuse the breadboard itself! Check out the full project here!